"Looking through pin oak trees toward North 3rd Street" by L. Michael Hill Ph.D. 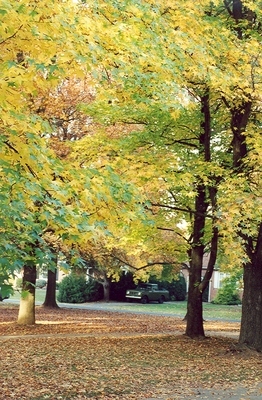 These trees were planted by students on an Arbor Day back in the 1950’s and show a predictably good fall color. This view is toward North 3rd street.